Spending your holiday in Margaret River Wine Region? Be sure to stop by and explore the West Busselton area, situated 40 kilometres northeast of the CBD. ArtGeo Cultural Complex is a lively cultural centre. Be sure to discover what's showing while you're here. Book a room at the Comfort Inn Busselton River Resort and Royal Palms Resort to stay nearby. Busselton Jetty is a picturesque location to meet with the family and appreciate the warmth of the sun. The Gale Street Motel and Villas and Busselton Guest House are your leading options for this attraction. Taking a trip to West Busselton on a strict budget? 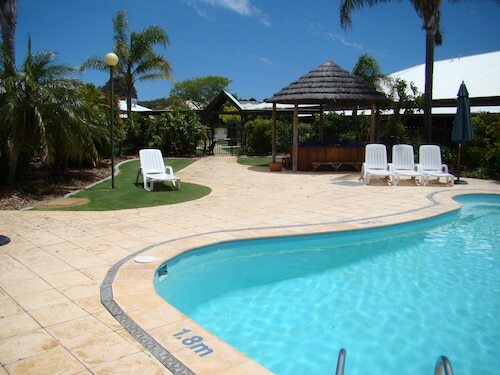 The BIG4 Beachlands Holiday Park should be your best bet. 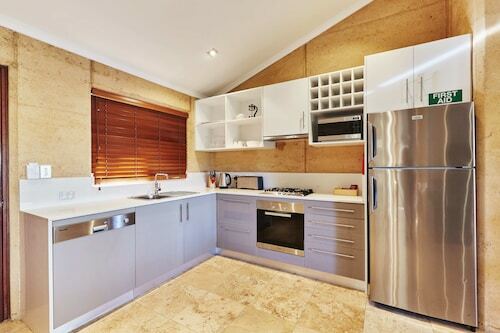 West Busselton contains a decent range of hotel options that caters to most budgets. However, if you're looking for something a bit more upmarket, have a squiz at the rates at the Baudins of Busselton B&B and Jacaranda Guest House. Been stuck with a miserable day in West Busselton? You can find refuge, and some seriously delicious coffee, at Equinox Restaurant & Bar. If you fancy a few drinks at the end of the day, say hello to the bartender at The Ship Inn. If you can't secure the right West Busselton hotel package, you may want to check out the accommodation options in Broadwater and Abbey. Wotif is ready to whisk you to Margaret River Wine Region and thousands of other amazing destinations on this wonderful planet of ours, so stop dreaming and start booking today! How Much is a Hotel Room in West Busselton? Hotels in West Busselton start at AU$97 per night. Prices and availability subject to change. Additional terms may apply.